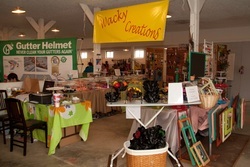 Are you interested in being a vendor at the fair? Click HERE to print out a vendor form. All vendors must have insurance and agree to the rules and regulations. then mail it in. For rules and regulations click HERE. All vendors must have insurance. For more information, please contact Charles Smith.